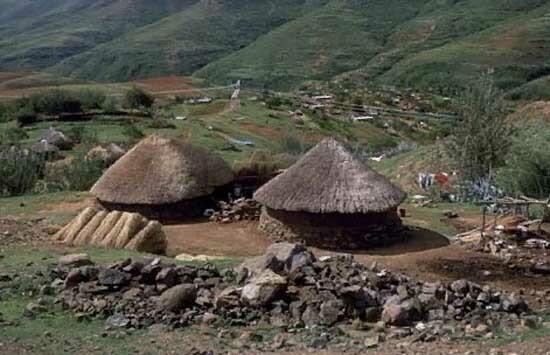 Leave your message below for RPCVs who served in Lesotho. I was in Lesotho last month and collected some letters for Kevin O'Keefe (95-97) from the Thaba-Tseka FTC. Does anybody know where i can send them? SECID, the Southeast Consortium for International Development,is based in Washington, D.C. SECID is a consortium of land grant universities which provides technical assistance and trainging in developing countries. We are seeking candidates who have subject matter expertise (MS degrees desirable), training experience and an interest in accepting two-year assignments in the southern part of the country - likely locations include: Yambio, Maridi, Yirol, Rumbeck, Boma, and Yei. Interested persons can Email CVs and/or email Bob Delemarre at: rad@secid.org to obtain more information, raise questions, etc. These assignments would not be suitable for families with children due to lack of facilities and schooling. My apologies if my posting is not appropriate for this forum. I am looking for the contact information of my former US Peach Corps volunteer teachers at St. Stephen's High School in Mohale's Hoek, Lesotho from 1978 to 1981. I only know their last names: Mr & Mrs. Begnal (sp?) and Mr. Fullbright. Any help is much appreciated. I have friends in Madison WI (she's from Lesotho, he Eritrea) who want to send children's clothes back to Lesotho to assist orphanages, hospitals, etc. Please contact me at dennyc@tds.net Thanks! may anybody who knows where Kevin O'Keefe [PCV;1995-1997 in Thaba-Tseka] is,please forward such information to matylet@gmail.com, his family in lesotho has an urgent msg for him. I am a friend of Lee Jennings, I have not heard from him for several years, I am really concern, he would send me postcards often. I am looking for Bob Swanson who worked in John Maund High School Lesotho in the 80's. Could anybody help? I am looking for Mona Gunter who used to work in St Johns High School in Mafeteng, Lesotho in the 1990s. Could anyone help me? Not sure I have the surname spelled correctly. Hello Lesotho Volunteers and staff. It has been a long time but my wife (Carol) and I still miss Lesotho, the Peace Corps and the other organizations we served in over our years in Southern Africa.